In Golden, CO last week an informal group of leaders in the climbing industry gathered to discuss the future of climbing. 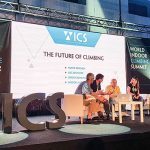 Organized by Earth Treks’ founder Chris Warner, the roundtable included Presidents and key staff from Earth Treks, American Alpine Club, American Mountain Guide Association, Access Fund, USA Climbing, Climbing Wall Association, Climbing Business Journal, Petzl, and Walltopia. The idea behind the roundtable was to bring organizations that are helping to grow indoor climbing and groups that support and advocate for outdoor climbers into one room to talk about the the challenges and opportunities facing a sport that is seeing rapid growth in participation. The meeting featured short presentations by each of the attendees followed by open discussion about the issues each group is facing, and how the groups might work together to address the challenges. It was evident from the meeting that the industry is facing two distinct problems. The first centers around the lack of consistent practices across climbing gyms. Several attendees expressed concern that many gyms were not following the industry practices set forth by the CWA, creating unneeded risk and liability for these facilities and putting the insurability of the industry as a whole at risk. The safety of routesetters came up several times. 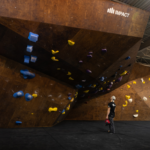 While the industry is not specifically regulated by OSHA, almost every climbing gym is subject to the agency’s workplace safety requirements. Some climbing gyms have adopted practices to improve worker safety: ladder skids to improve stability on foam flooring, ear protection from loud impact drivers and safety glasses that protect eyes from metal shards from bolts. These practices, however, are far from the norm. Some of this inconsistency is self imposed. One attendee brought up the point that there is no specific safety standard for flooring; the current guidelines only call for an attenuating surface with no standard for performance. 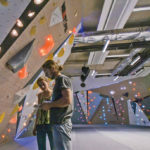 The group also discussed the fact that AMGA, CWA and PCIA all offer competing certifications for Climbing Wall Instructors, which adds confusion to the marketplace. The most promising discussion area that could promote consistency came from the AAC. In the US there is no commonly accepted belay instruction method, so every gym instructs and tests for belay competence differently. The AAC is developing a new certification program aimed at the climber (rather than the instructor, as the CWI certification does) that would teach the fundamentals of belaying as well as single pitch sport techniques like rappelling and fixed anchor evaluation. If constructed properly, this certification could be adopted by every gym in the country and climbers would have access to a universal belay card. This has the promise of improving competency and safety amongst climbers while saving time and angst by eliminating belay tests when certified climbers visit different facilities. The second major problem facing climbers is the issue of acceptable behavior and safety at the crag. Like many other outdoor sports, climbing areas are seeing ever increasing numbers of users. Unfortunately, it has become apparent that not all of these new users are acting in a way that is safe, sustainable or desirable. The group suggested that one reason for this conflict was that American climbers lack a training culture. Warner shared statistics from Earth Trek’s four climbing facilities in Maryland and Colorado which showed that while thousands of users are eager to learn how to climb at their facilities, only a tiny fraction are willing to spend time learning safe outdoor climbing skills or outdoor ethics, even when these classes are provided free of charge. Travis Herbert, Education Director from The Access Fund suggested that industry groups “need to make it cool to be stewards” of the outdoors. He also suggested that the social norms need to change so that it “doesn’t count” if you sent a v15 but trashed the crag in the process. 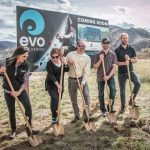 The climbing media, particularly groups that put out popular climbing videos, and the elite athletes that are featured in them, can play an important role in making ethical outdoor behavior fun, approachable and normal. One idea that emerged from the group was to form a Climbing Alliance that would facilitate better coordination and leadership on solving these problems. Could this alliance raise $1 million for an outreach campaign to educate climbers and help define what it means to be a good member of the climbing community? 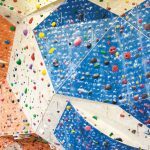 Could it help every gym in America provide consistent climber training and enforce safety standards? This was the first time all of these groups had been in one room at the same time and it led to some great conversations and a true starting point from which to move forward. Summit Brings Excitement and Talk of Risk Work at Height Hot Topic at CWA Event Should Gyms Be Reporting Accidents?